Shiny and chrome but hollow on the inside. WinnieTheWoot and I were cleaning out one side of the kitchen pantry yesterday. I was sitting on the floor pulling stuff out and handing it to her so we could start with a clean slate and get everything re-organized. That’s when I found this guy and held him up over my head for her to see. Gingerbread Man (me in a high voice): Run, run, run as fast as you can. You can’t catch me, I’m the gingerbread man. 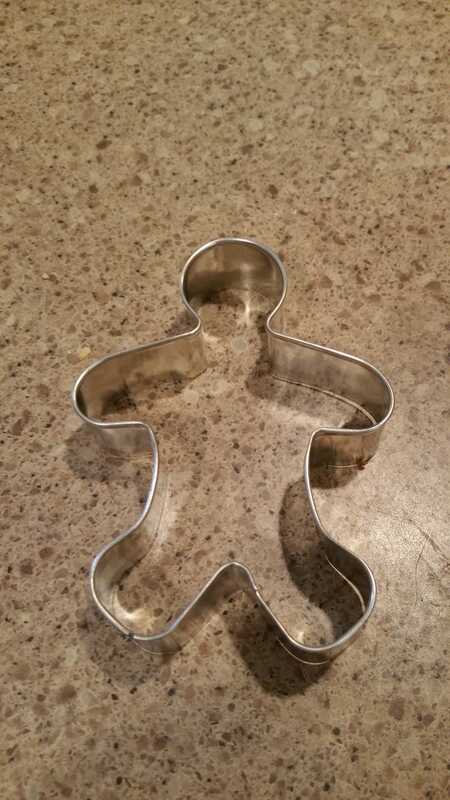 WtW: You can’t run, you’re just a cookie cutter. GM: So you’re saying I’m just like every other man? GM: Let me explain to you why you’re wrong.